The Housing Choice Voucher Program is one of the U.S. Department of Housing and Urban Development (HUD)'s major programs for assisting low and moderate income families, the elderly and the disabled to afford decent, safe and sanitary housing in the private market. Since housing assistance is provided on behalf of the family or individual, participants are able to find their own housing, including single-family homes, townhouses multi-family homes and apartments. The participant is free to choose any housing that meets the requirements of the Housing Choice Voucher program. Housing Choice Vouchers are administered locally by the public housing agencies (PHAs) and receive federal funds from HUD to administer the voucher program. A family that is issued a housing voucher is responsible for finding a suitable housing unit of the family's choice where the owner agrees to rent under the Program. This unit may include the family's present residence. Rental units must meet minimum standards of health and safety (Housing Quality Standards (HQS), as determined by the local Housing Authority and HUD. A housing subsidy is paid directly to the landlord by the Housing Authority. Federal guidelines for affordability equates to a household not spending more than 40% of their income on housing costs. The Housing Authority of the City of Ansonia currently administers Housing Choice Vouchers in Ansonia, Shelton and Seymour. Payments standards effective January 2018 for the Ansonia Housing Authority’s HCV Program are listed below. These standards are established by HUD annually as part of Fair Market Rents (FMR’s). For information regarding housing quality standard inspections click here. The Housing Authority of the City of Ansonia is currently not accepting applications to Housing Choice Voucher Program. You can refer to www.211ct.org to see if any other Housing Authorities are currently accepting applications and/or browse other forms of assistance. The Family Self-Sufficiency (FSS) program enables families assisted through the Housing Choice Voucher (HCV) program to increase their earned income and reduce their dependency on public assistance and rental subsidies. Under the FSS program, low-income families are provided opportunities for education, job training, counseling and other forms of social service assistance, while living in assisted housing, so they can obtain skills necessary to achieve self-sufficiency. The Ansonia Housing Authority’s Family Self Sufficiency Program (FSS) is exclusively available to Housing Choice Voucher program participants and was developed to promote economic self-sufficiency to our clients. The goal of the FSS program is to assist families of the Housing Choice Voucher Program in meeting their educational, career and personal goals. Family self-sufficiency (FSS) is a HUD program that encourages communities to develop local strategies to help voucher families obtain employment that will lead to economic independence and self-sufficiency. Public housing agencies (PHAs) work with social service agencies, schools, businesses, and other local partners to develop a comprehensive program that gives participating FSS family members the skills and experience to enable them to obtain employment that pays a living wage. A separate program, the public housing FSS program, is available for public housing residents. 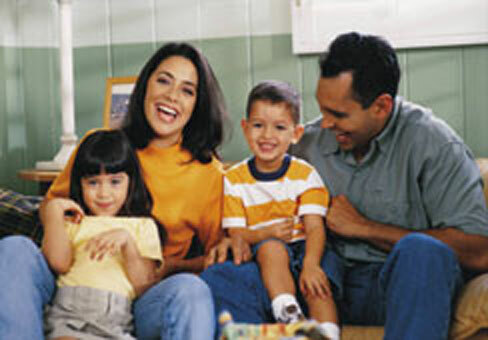 Families develop individual plans that outline the steps to be taken to reach self-sufficiency. FSS escrow accounts. This account has been the catalyst to homeownership. The FSS program offers monthly workshops including topics such as parenting, job training, financial management, nutrition and many more presentations to assist families in reaching their goals. Q: How many people does AHA serve? A: AHA currently has 51 HCV FSS participants. Q: What is the percent of participants having escrow funds? A: Currently, 62% of clients in the program have escrow funds accumulated. Q: What are the top three services offered in the program? A: Job training, Resume Building, and Financial Management. Q: What are the top career paths for participants and why? A: CNA (Nursing), Phlebotomy, Health Assistant (Dental Assistant, Medical Assistant) these seem to be the career paths most chosen because there is a higher availability of jobs in this region and clients tend to want to help others. Q: Have we graduated any one? A: Four clients graduated in 2013, and in previous years two others have graduated and gone onto homeownership. For more information, please contact the FSS Coordinator Lucy Dripchak at (203) 736-8888 ext. 305.